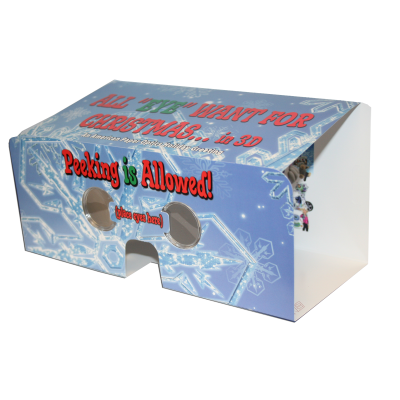 3D EZ View Card - Our NEW 2011 economy model 3D stereo viewer (with detachable bonus card) is great for direct mail, trade show handouts, and new product launches. These stereo viewers offer the end user the best and purest form of 3D viewing out there! 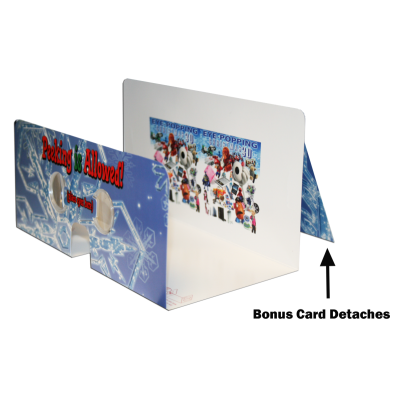 3D EZ View Card (Shown with detached bonus card) - Our NEW 2011 economy model 3D stereo viewer (with detachable bonus card) is great for direct mail, trade show handouts, and new product launches. These stereo viewers offer the end user the best and purest form of 3D viewing out there! The stereo pair "bonus card" is shown in this image. 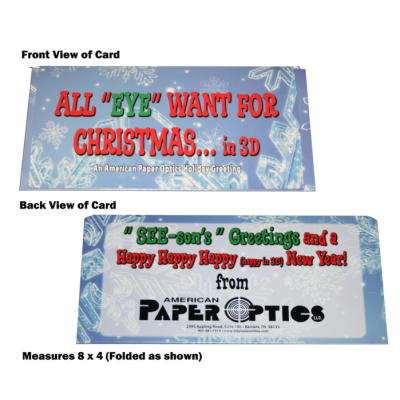 3D EZ View Card (Shown Folded Flat) - Our NEW 2011 economy model 3D stereo viewer (with detachable bonus card) is great for direct mail, trade show handouts, and new product launches. 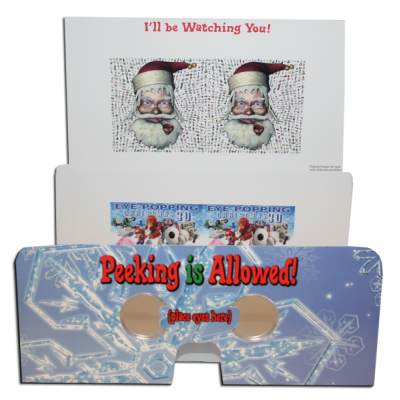 These stereo viewers offer the end user the best and purest form of 3D viewing out there!